Parallel Solutions, Inc. is a manufacturer’s representative group serving the Telecommunications, Data Centers, Audio Visual, and Security Access Control Markets. 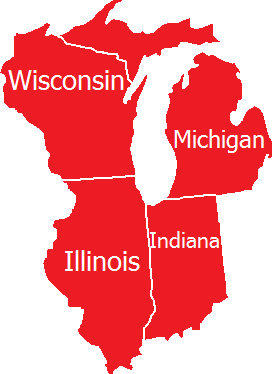 Our objective is building an unmatched total service and solutions provider for customers throughout Illinois, Ohio, Wisconsin, Michigan, Indiana, and Kentucky. As a manufacturer rep firm in a competitive market, Parallel Solution’s goal is to add value, differentiate our services, and improve customer education related to emerging markets. This allows a diversified offering for multi-vendor products to compete consistently in the Data Communication Markets. Parallel Solutions will continue to build upon providing competitive values and ensuring state-of-the art service for our customers while remaining a total provider of quality services and innovative solutions. To meet and exceed your expectations allow us each to maintain a competitive edge in our respective industries. Together, Parallel Solutions and the vendor’s we represent will provide solutions that deliver ultra-wide bandwidth and worry-free operation so that you can concentrate on growing your business. One of the leading manufacturer’s representative group in the Midwest serving the telecommunications, Data Centers and Security Access Control Markets.